Have you ever learned how to properly portion your food when enjoying a meal? What about when you go out to eat? Measuring food for weight loss can have a huge impact on your lifestyle, and alter how your body looks and feels over time. There are a few good ways to take control of your eating habits and work slowly to achieve your weight loss goals. You’ve brushed up on diet recommendations and know what foods are good for your body. 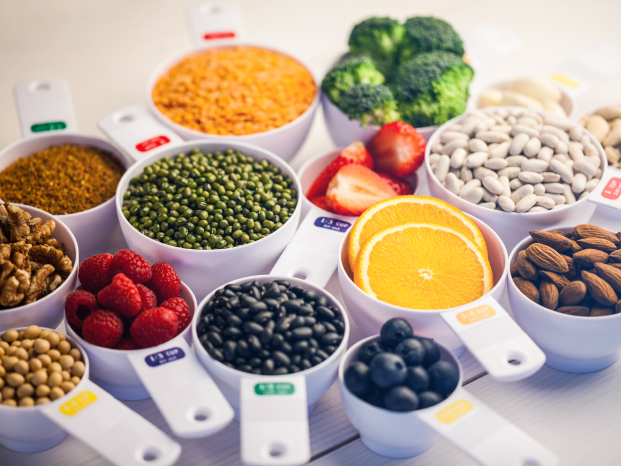 You have covered all of your bases and know that a balanced diet should include whole grains, protein, fruits, veggies, dairy (or dairy alternatives), and an assortment of healthy fats. 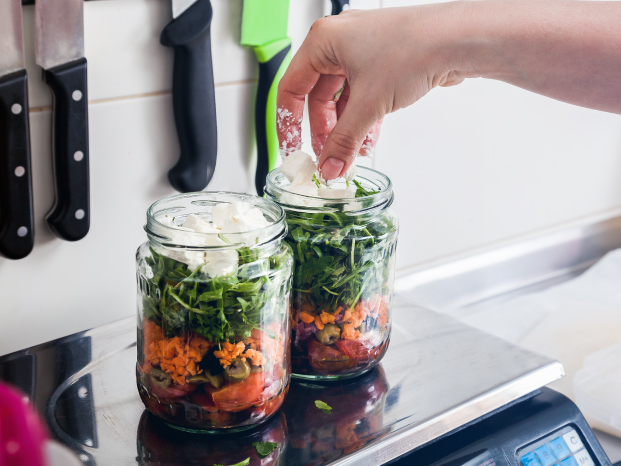 However, you still find yourself asking, “What about serving size?” Measuring your food portion sizes can prove to be the most accurate and beneficial way to lose weight. Everyone is different so a one-size-fits-all serving size printed on the side of a box may not be what’s right for you. A serving size does not translate to how much you should eat, it simply shows you the nutritional facts in a size suggested as a serving. Your true serving size will depend on your daily caloric intake, current weight, weight loss goals, and other factors. There are a few tools you can use that are fairly inexpensive to start your food measuring journey. The most popular tool used for measuring food tends to be a food scale. Whether it’s a manual or digital scale, this tool helps measure out exactly how much of an item or ingredient you use when you cook or grab a snack. For every meal, you would serve yourself as you normally would for breakfast, lunch, snacks, and dinner, and weigh it carefully before consumption to see an accurate picture of how many calories you consume when you eat. Afterwards, in order to lose weight, you would discuss with your doctor or dietitian openly about how many calories you’re eating daily. They can then formulate an eating plan geared towards weight management customized for you and your body. Another method of measuring food is by using a portion control plate. You can find them just about anywhere and they are super affordable. These dishes are designed to fit your food into the appropriate serving size to keep you from overeating. They usually include space to fit fruit, vegetables, protein, and whole grains, but there are also containers available for other food groups if you want them. Measuring cups and measuring spoons can be other useful tools to utilize for measuring food for weight loss. These kitchen gadget staples can have more uses than just scooping up sugar and flour for baking. You can use them to dish out things like peanut butter, oats, seeds, nuts, and a ton of other ingredients without using a special scale or plate. Just make sure you keep track of your measurements on your phone or in a notebook to stay on the right track. 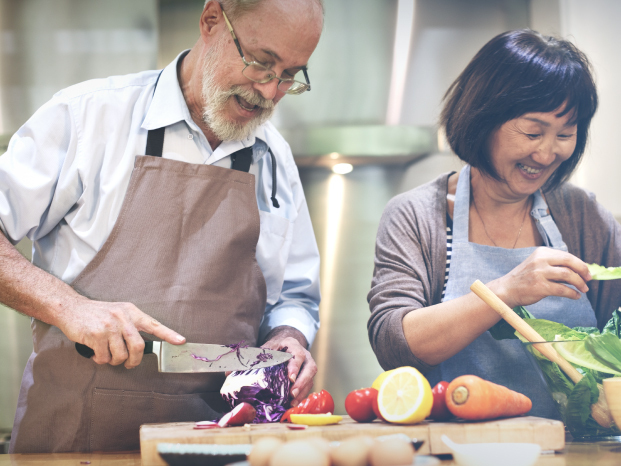 By eating right and maintaining a healthy weight, you can prevent the possibility of developing diseases and other ailments that can lead to diseases like type II diabetes, high blood pressure, heart disease, blood clots, and even certain types of cancer. It is always best to get medical advice from your doctor before making any kind of change to your diet. Remember that the point of weighing everything isn’t to completely restrict yourself from the food and nutrients you need. This method is to encourage you to keep an eye on the amount of food and calorie counts in what you consume. At Advanced Houston Surgical, we’re here to help whenever you are ready to begin your journey toward a healthier lifestyle. Losing weight can be difficult. If you are considering bariatric surgery, take a look at our weight loss services and get to know Dr. Rizwan Chaudhry. At Advanced Houston Surgical, our patients come first.